A totally candid shot taken during the wedding ceremony. The bridesmaids were all seated in the first pew in church and were looking on lovingly as the bride and groom exchanged wedding vows on the altar. They all still held their beautiful bouquets as they watched their best friend exchange vows with her new husband. I loved the color combination of these floral bouquets and how well the colors complimented the light lavender brides maids dresses. I took a position way off to the side of the church and put a long, fast telephoto lens on my camera. 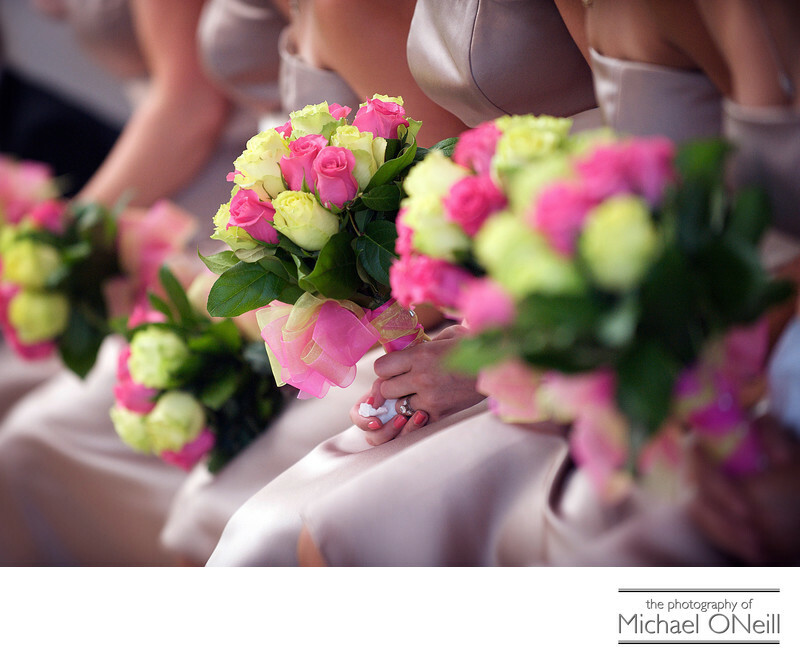 By shooting at a wide open aperture I was able to focus on and isolate one bouquet, framing it with the bouquets on either side. Not only did the bride absolutely adore this picture, but it has been admired and requested by many of my other brides-to-be.